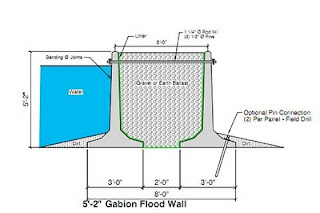 Flood wall supplied for Mississippi 2011 flood. Canadian Pacific Rail Road ordered 350 feet of modular precast T walls to protect the St. Paul switching yard. These sections will be placed when flood stage is reached. 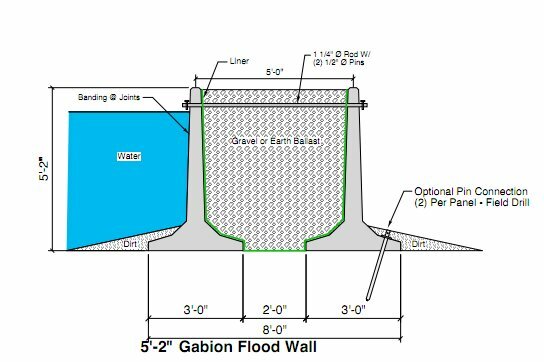 Units are engineered to withstand water at full wall height based on proper scour control at base. Due to our experience in the precast industry Crest Precast is able to bid special items for your specific project. We offer Engineering, drafting and concept models.